The ethnic chic ambience of the Bistro Desert Rose in WelcomHotel Jodhpur, was the perfect setting for our late afternoon lunch date with chef Akshraj Jodha. The lighting at our table was deemed not ideal for food photography though. So we worked out a solution where Iphone photographer Jack Hollingsworth’s meal was first served at a two seater setting by the window and brought back to our larger table after he – and I – were done photographing it! Having photographer dining companions eliminated any likelihood of my diving into my meal and forgetting to capture it on camera like I usually do! 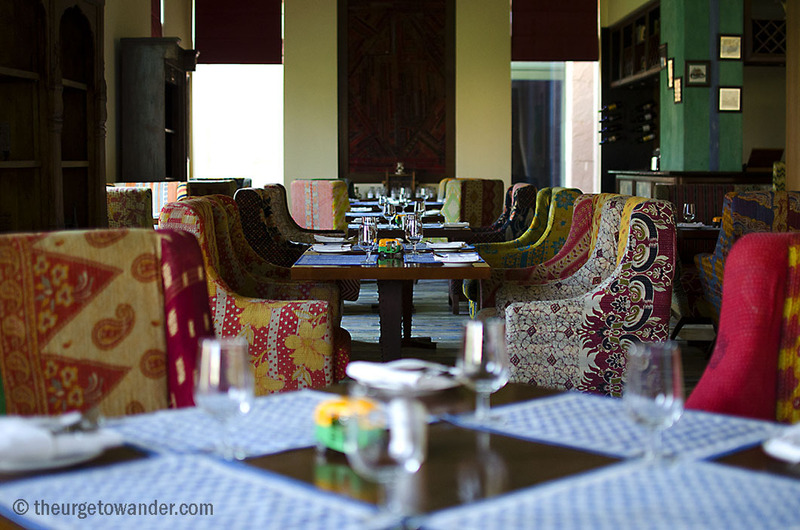 Chef Jodha’s contemporary interpretation of classical Rajasthani cuisine merited all the hoopla. 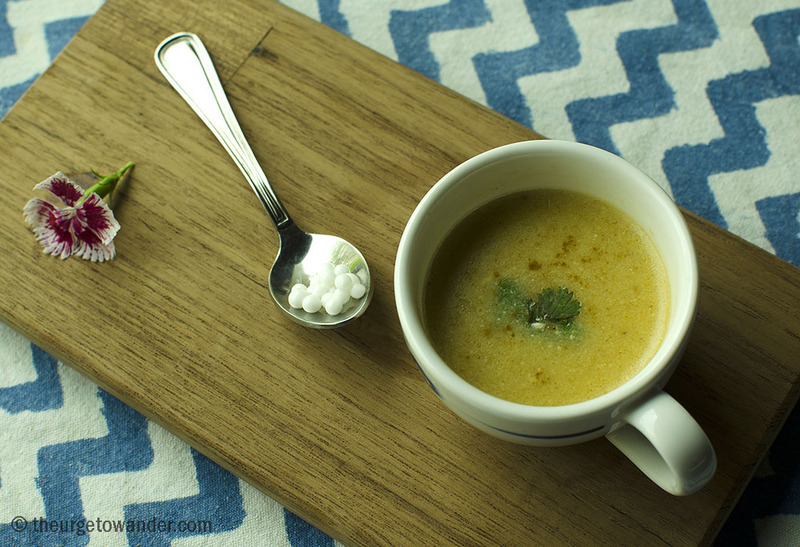 The substantial six course menu began with Makka Raab: a corn and yogurt soup served with coconut pearls, that was a refined take on the humble Kadhi. I don’t generally eat red meat but the melt in the mouth smoked lamb cubes in the Maand Bootan, served in kitschy mini cookers, left me craving more. The accompanying Subz Kalmi (Vegetable kebabs) with varq (edible silver) and garlic pearls was equally flavourful. 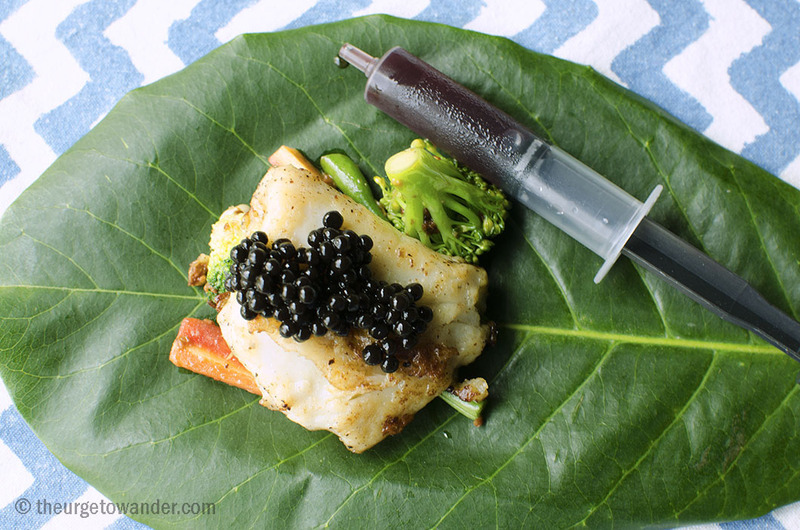 Chatpati Machhi – a delicately grilled cheese stuffed sea bass served with balsamic pearls and grape emulsion – was an absolute standout, and was unequivocally voted the star of the show. 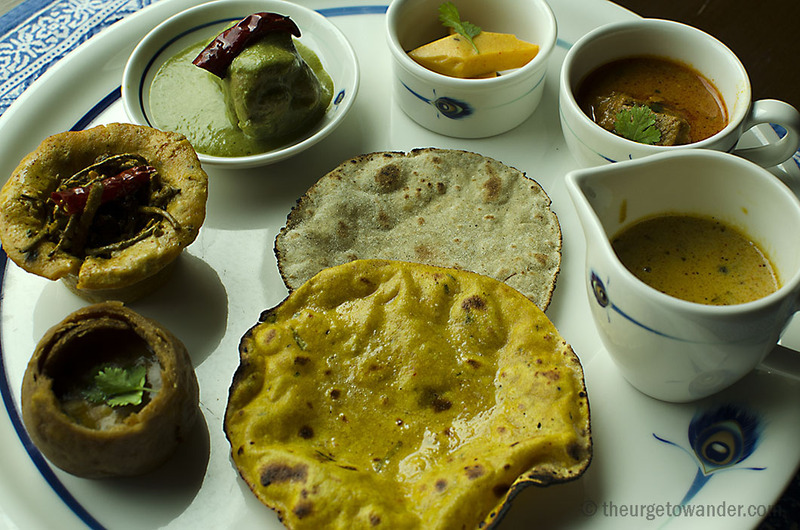 The full thali that followed did local culinary traditions proud. Although I would have personally preferred fewer, stylised components. Hand churned rose ice-cream made for a wonderfully refreshing desert. I ended up ordering it in-room the following two days in a row! The multicoloured accompaniments seemed to me like ‘pearl’ overkill, but Jack discarded his ice-cream and created art with them! 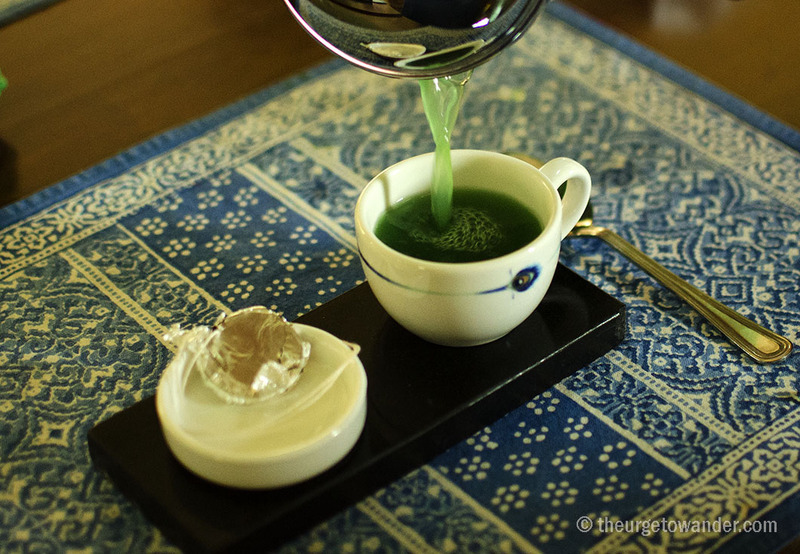 The ‘royal’ feast ended with (edible) silver coated chocolate medallions dipped and slowly stirred into a piping hot – and luridly green – mint liqueur concoction…..a dramatic and surprisingly delicious finale! Many thanks to WelcomHotel Jodhpur and chef Akshraj Jodha for this memorable dining experience. Uff! I’m not sure if I’m more in love with your photographs or the whole ‘narrative experience’. Adding this to my ever growing ‘must-visit’ list. 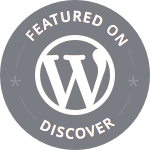 This read brilliantly and looked incredible ~ wonderful post…Wow. Randall, that’s high praise! Thank you very much. Ah, that sounds and looks like a heavenly meal. It was Bente. I have been disappointed by fusion food often, but it seemed to work well in this instance. 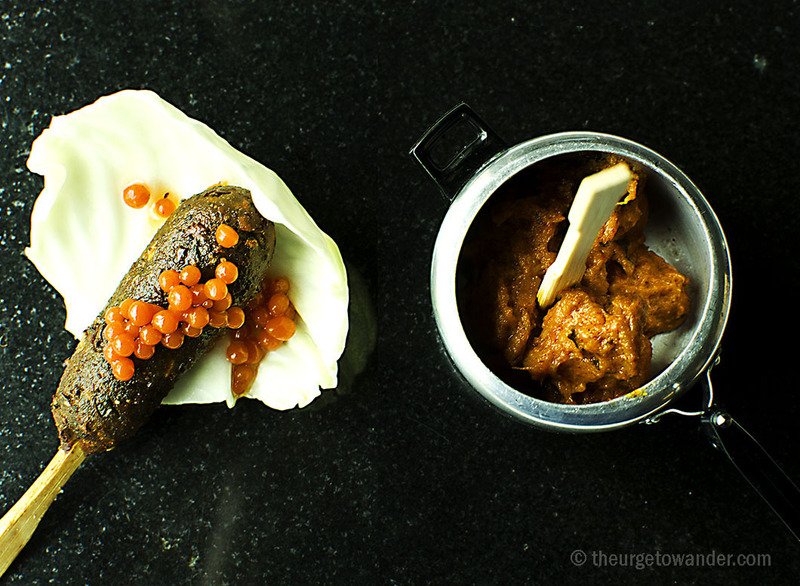 Oh Madhu, you tortured my stomach with those mouthwatering photos! 🙂 I really love the way you captured the dishes. Food photography is a true challenge. You’ve done it well, especially like the memories evoked by the hand-churned ice cream that reminds me of family reunions of the past. Great food photos – and that’s not easy to do…. Your descriptions had me salivating! Delighted to hear Sue. The extra light certainly helped. Mouth watering it is and apt description Madhu. Not to offend chef Jodha, but I think I like those chairs even more than the meal Suzanne!! 😀 The neatly patchworked upholstery especially. Madhu your post is the ultimate experience – great food shots and the narrative made for most perfect read! Ahh, you are very kind always Mary. Thank you. Glad you enjoyed this. I come from a long line of chefs in my family, and there is the constant debate over where to spend one’s time and artful talent. Some members of my tribe complain that the focus is the taste and that too many chefs spend too much time showing masterful technique in presentation and not enough in the flavor department. Knowing this to be a challenge, I am always overwhelmingly impressed with people who can balance the two without compromise. By the looks of the photographs, you had yourself a most memorable meal. I nearly licked the screen with the temptation it promised to provide. Regardless, Madhu, your essay and photos are wonderfully enticing. I am all for flavour over presentation Shelley. I appreciate the bare interiors of newer restaurants in Europe where focus is mainly on the cooking. In India there is a perception that fancy is best, but I think it is changing slowly with exciting young chefs trying to break the mold. Thank you for your lovely visit and comment. Have a fabulous weekend! I do very basic and authentic food, i do not play around with the texture and the taste of the food only try to make them look more appealing and presentable and play with lot of natural colors, infact i make my own platters so that i can relate the food i am serving. Madhu, that is so beautiful, your post and the place. Seems like an upper class hotel. Yes, it is part of one of our larger and better known hotel chains. Thank you for reading Cornelia. Thank you Shimon. The better lighting did make a difference. I’m drooling now and I had a milder case of food poisoning yesterday – that’s the power of your description (both in image and in words). How do you manage to keep your figure I wonder. 🙂 It was truly lovely Cathy. But what do I know, maybe I am old-fashioned for preferring food that is heartier and a little less polished. Madhu, did you say thali? 🙂 Ever since our month in India, we’ve been greatly missing them. It is the Makka Raab and its coconut pearls that’s most captured my attention though. 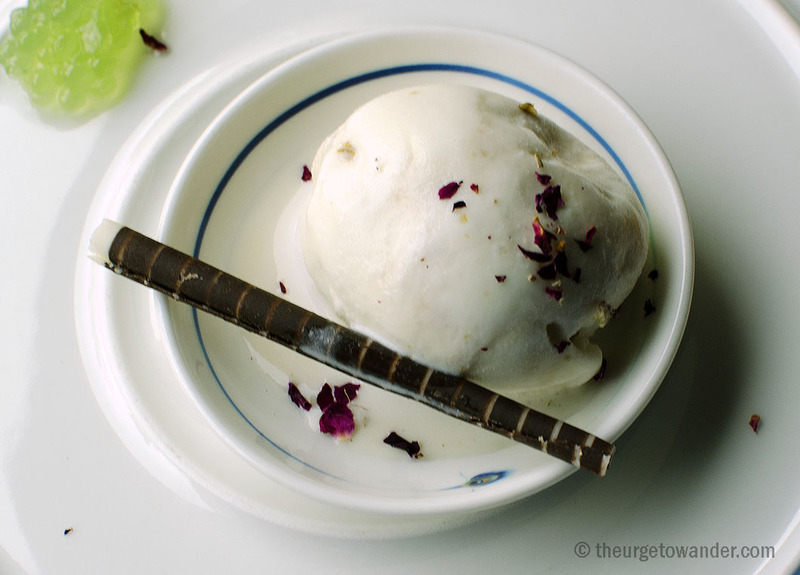 The Rose Ice Cream also looks worthy of your decision to order multiple helpings.